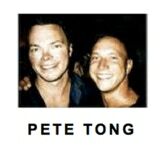 Listen to David H accompany the legendary Pete Tong & Mr C.
These mixes are available now as free downloads in the iTunes Store. In 2012 after successful winter tour in Malta David founded and co-promoted WRONG! This hedonistic after-hours event located in Vauxhall, South London is still the capitals longest running all nighter. Every afternoon David accompany one of the ESP DJ’s alongside a saxophonist and vocalist. Summer 2018 has seen an incredible rise of ‘The Percussion DJ’. Born out from an idea and made reality in Ibiza. Quite simply, David simultaneously DJing and playing Percussion. 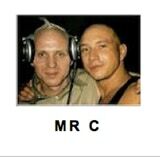 By 1994, underground dance tracks produced by David were being played by all the top club and radio DJs in the UK dance scene. Released his own Planet 10 and Indalo imprints, it was only a matter of time before he produced a massive club anthem. BBC Radio 1 DJ Danny Rampling’s release of ‘Love Groove’, the dance party compilation album, featuring a David H ‘Pure Seduction’ remix of ‘Passion’ won a silver BPI certified award. David H was first introduced to recording when he was featured playing drums on a 1985 album recorded in front of a live audience. 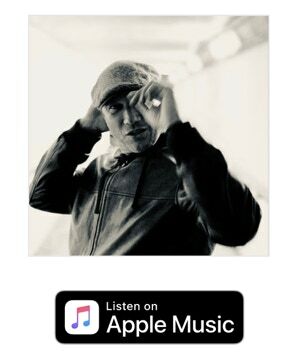 In 1991, inspired by the British Rave and underground dance scenes, he released his first four-track EP entitled ‘Execute’. 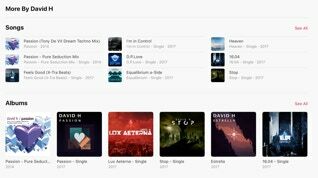 Remixing under ‘Pure Seduction’, David now has many credits to his name, including Victor Imbres of Alcatraz, The Real McKoy and System F (Ferry Corsten). Working with many different artistes, his collaborations include Mazona Maley, Second Voyage, Lippy Lou and Nicki Mac. 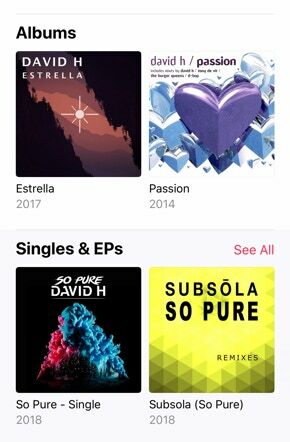 Under the pseudonym Subsola, David H produced the massive dance floor smash ‘So Pure’, released in 1998 on Pete Tong&apos;s London FFRR label and remixed by Trance guru Ferry Corsten. David produced the huge clubland smash hit ‘Passion’, released in 1996 on EMI/Feverpitch and remixed by Superstar DJ Tony De Vit. 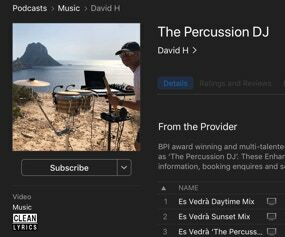 A Percussionist like no other, David-H has accompanied ‘THE’ most famous and influential DJs on the planet. Performing at the world’s biggest festivals, the coolest club nights and most intimate private parties ! David is a great ambassador for the LGBT+ community. A significant part of the club scene for 20 years ! David has a unique and extraordinary talent to complement any DJ and all styles of ‘House Music’ . Naturally gifted, you only need to witness how he understands, connects and excites the crowd, taking them to another level, fusing the groove between DJ and dancefloor. David is all about the ‘live’ interactive show that has thrilled millions of clubbers across the globe. Playing alongside the world’s top DJs including the late Frankie Knuckles, Ferry Corsten, Pete Tong, Tall Paul, Erick Morillo and Fat Boy Slim to name but a few. Along the journey David has enjoyed top flight residencies in Ibiza’s Manumission, Space, DC-10, Pacha, El-Divino, Eden, Amnesia and Underground. He&apos;s played top venues in Europe, North America, Africa and Asia and has worked with the biggest brands in dance music including Hedkandi, Ministry of Sound and Cream. David’s biggest capacity was playing in front of 15’000 dancing people at the Bacardi Blast ‘Full Moon Party’ in Goa, India. David is a fabulous ambassador for the LGBT+ community and has been a significant part of the vibrant club scene for over 20 years. For David, it’s all about the ‘live’ performance, he has a style and consistency that is completely unique: “I never know what the DJ is going to play… you have to feel the vibe… organically I connect the DJ to the dance-floor.” And connect he does! David has won the trust and respect of the club scene’s elite DJs, his pure improvisation of rhythm is simply infectious. UK-based and affectionately known as ‘The Bongoman’ (or, when in Ibiza, ‘El hombre timbale’), David’s past major British club residencies include Pussycat Club, Brighton (2001-2002), The Syndicate Superclub, Blackpool (2002-2005), The End, London (2002-2004) and Fire, London (2002-2011). 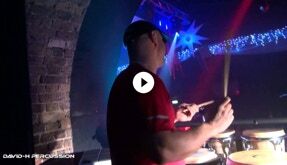 Since 2011 David has been the resident percussionist at Popcorn in Heaven Nightclub, London. The ‘Ibiza Essential Selection’ which was transmitted live from Manumission in 2002 and in 2005 accompanying the Sharp Boys, ‘live’ from Regents Park during the Radio 1, ‘London Pride’ weekend. While continuing to wow crowds all across the globe, David has played alongside all the present and past BBC Radio 1 dance DJs, including the legendary Pete Tong, Judge Jules, Dave Pearce, Danny Rampling, Fergie and Seb Fontaine. His phenomenal and rare talent combined with a very innovative ability of pure improvisation is recognised by everyone who hears him. His performances have been broadcast around the world during live Radio 1 shows including Pete Tong’s ‘Essential Selection’ at Syndicate Superclub in 2004. David is all about the ‘live’ interactive show that has thrilled millions of clubbers across the globe, playing alongside the world’s top DJs including the late Frankie Knuckles, Ferry Corsten, Pete Tong, Tall Paul, Erick Morillo and Fat Boy Slim to name but a few. UK-based and affectionately known as ‘The Bongoman’ (or, when in Ibiza, ‘El hombre timbale’), David’s past major British club residencies include Pussycat Club, Brighton (2001-2002), The Syndicate Superclub, Blackpool (2002-2005), The End, London (2002-2004) and Fire, London (2002-2011). Popcorn at Heaven Nightclub, London (2011-2016). And now European Snow Pride 2016- Present day. Every afternoon David accompanies one of the ESP DJ’s alongside a saxophonist and vocalist. His phenomenal and rare talent combined with a very innovative ability of pure improvisation is recognised by everyone who hears him. David’s performances have been broadcast around the world during live Radio 1 shows including Pete Tong’s ‘Essential Selection’ at Syndicate Superclub in 2004.